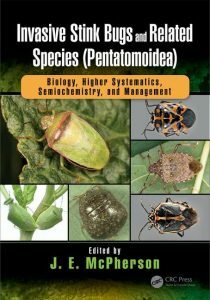 The book comprises the first of its kind to collate and detail the biology of invasive Pentatomoids (and related true bug species), and the associated ‘economic and environmental concerns’. 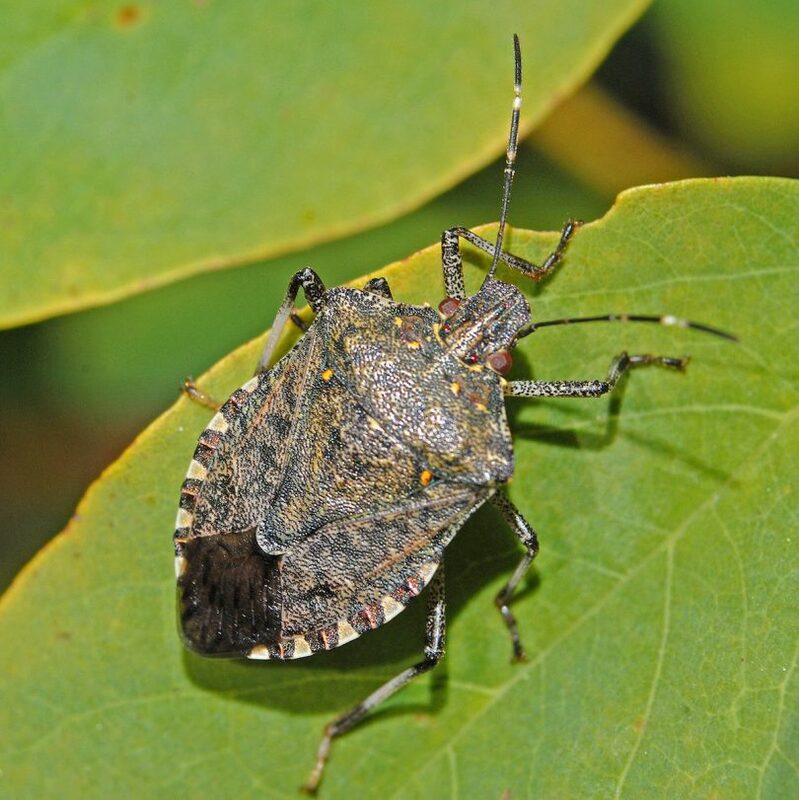 Stink bugs, so called due to the presence of scent glands that release an unpleasant odour to ward off predators, (and their relatives), form the ‘superfamily’ Pentatomoidea. Out of the 5,000 species that make up the largest family within the superfamily (Pentatomidae), six are invasive, two of these species are found worldwide and four are recent occurrences in North America. Stink bugs primarily feed on plants, which often leads to ‘economic damage’ associated with crops totalling billions of dollars. It’s a hefty book with a correspondingly hefty price tag. However, this book includes everything that you would want to know about stink bugs, and is the culmination of more than 60 stink bug specialist’s expertise from 15 countries. The detail is impressive. Meandering its way from a general overview of the species classification and general life history, through identification keys, detailed chapters focussing on invasive and potentially invasive Pentatomoidea (including taxonomy, distribution, biology, impacts, management and future outlook), non-invasive Antestia bugs (pests of coffee Arabica in Africa), diapause and seasonal cycles, the transmission of plant pathogens, symbiotic microorganisms associated with Pentatomoidea, semiochemistry (chemicals used for communication purposes), and finally, management tactics and control. Species of the superfamily occur worldwide in nearly every single type of habitat. They range in size with the smallest being only a little larger than a pin-head. Coloration varies from browns and greens through to exquisite reds and blues arranged in a variety of beautiful markings, which are showcased at points throughout the book via photographic figures. Perhaps surprisingly for a book of this type, the writing is approachable and engaging, and overall, produces an authoritative but accessible work. Header Image: Brown marmorated stink bug (Halyomorpha halys). Credit: Hectonichus / Wikimedia Commons.